We're excited to announce that Swift's Auto Salvage and Trails End Auto Salvage have joined forces to become Swift's Trails End. We're bring the best of both auto recycling operations together to give you great part selection and even better service. Welcome to the new Swift's Trails End Auto Recycling. Going green is more than tag line. Trails End has led the way and practices the highest standards in environmental services. Our service extends after the sale. We stand behind our parts with some of the best warranties around. Turn your junker into cash. Give us a call. We'll pay top dollar and even come and pick up your vehicle. 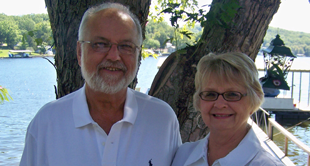 Mike and Steve Swift have over 50-years experience in the auto recycling industry. They're backed by a great team with experience and knowledge to help you find what you need. State of the art tools and equipment to help us deliver clean, quality parts. Our fully computerized inventory makes locating the part you need fast - saving you time and money. Auto Recycling has always been a family affair with the Swift's. Locally owned and operated since 1940.